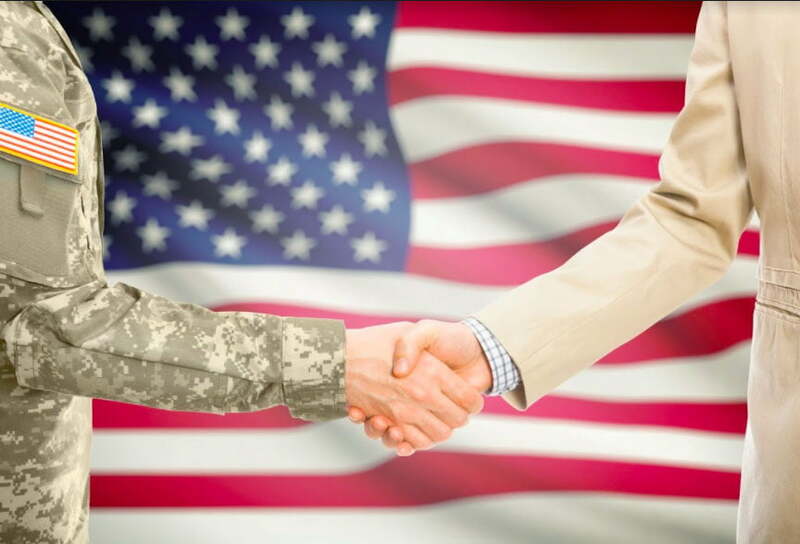 Why Veterans Have the Skills and Experience that Employers Desire - Duffy Group, Inc.
Smart hiring managers and recruiters are always seeking an edge in terms of identifying the most talented prospective workers. Part of that involves looking in places where talent is underutilized or lies undiscovered — and candidates with military experience often fall into this category. The military does an excellent job helping its personnel learn a wide range of hard and soft skills. Yet a military career doesn’t always leave people ready for the rigors of the civilian job market. Great candidates are often hiding in plain sight, as they simply lack the knowledge to market themselves in a sophisticated fashion. That’s a missed opportunity, because skills and habits learned over a military career are often highly-prized in the workplace. With that in mind, let’s take a closer look at the experience veterans bring to the table, and how this helps them build trust with employers. The military is a vast enterprise with its own logic, language, expectations and standards. In other words, it’s a self-contained universe of sorts, and one that doesn’t always align perfectly with the civilian world. The way things are done in the military is often decidedly different than the way things work in the corporate realm. Teamwork — veterans are trained to work collaboratively and cohesively, even under stressful conditions. These qualities are essential to innovation. Discipline — the military instills a deep sense of self-control and organization. Because of this, veterans are often self-motivated high-achievers — and exceptionally reliable workers. Problem-solving — military personnel are expected to think analytically and provide workable solutions. This quality is critical to creative problem solving, which in turn is highly useful in almost any business environment. Accountability — because the military deals with gravely important, life and death matters, it fosters a culture of deep personal accountability. Loyalty — duty and responsibility are essential to military service. These are also traits that are sought after by employers, who always wish to retain their most talented and best trained staff. While the military certainly offers opportunities for the development of hard skills across any number of fields (computer programming, IT, logistics, etc. ), the soft skills and military values veterans possess are what truly what differentiates them in the market. And that’s a key advantage — a recent global business survey by Deloitte showed that 92-percent of corporate leaders view soft skill development as a “critical” business priority, while another study from Harvard showed that soft skill training can have massive productivity benefits. The bottom line? Companies are spending significant resources to help employees develop the soft skills and traits that veterans typically already possess. That makes veterans, as a whole, an attractive group for hiring managers and recruiters. Soft skills are a top global business priority — and no organization instills these skills better than the military. Companies seeking to carve out a competitive edge in hiring should give full consideration to veterans, while also remaining cognizant of the fact that many former military members may not have a sophisticated understanding of the civilian job market.